Probably the best lower limb tendon course and lecturer covering most up to date diagnosis, imaging, treatment options and rehab strategies. THE LOWER LIMB TENDON COURSE with Jill Cook; Cnr Voortrekker & Duminy Rd Bellville, Cape Town; 09 – 10 March 2020. 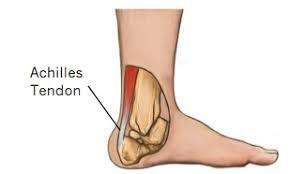 Tendinopathy (pain and dysfunction in a tendon) is a common complaint presenting to clinicians. It can be persistent and resistant to treatment. Understanding the pathology and pain and the role of different loads in tendinopathy is essential to provide the clinician with scientific approaches to the assessment and management of a person with tendinopathy. This knowledge will also provide the clinician with the knowledge to sift through all the treatment options in the literature and on the internet, to be able to provide the right advice to their clients. a) Cook, J. L., et al. (2016). “Revisiting the continuum model of tendon pathology: what is its merit in clinical practice and research?” British Journal of Sports Medicine. b) Rio, E., et al. (2015). “Isometric exercise induces analgesia and reduces inhibition in patellar tendinopathy.” British Journal of Sports Medicine 49 (19)(19): 1277-1283.
c) Fearon, A. M., et al. (2014). “Greater trochanteric pain syndrome negatively affects work, physical activity and quality of life: a case control study.” Journal of Arthroplasty 29(2): 383-386,. The course will be a combination of lecture and practical demonstrations and practice. There will be opportunity for questions and discussions. Support material (manual/slides): Slides provided to course convenor, to be made into handouts. PowerPoint not to be provided to participants. materials for the course – ps; please note that registering your details does not book you onto the course – you need to follow step 2 below. 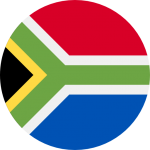 Posted in Exercise and function, Lower Limb, Pain Management, Rehabilitation, Southern Africa Courses, Sports, Tendon course.